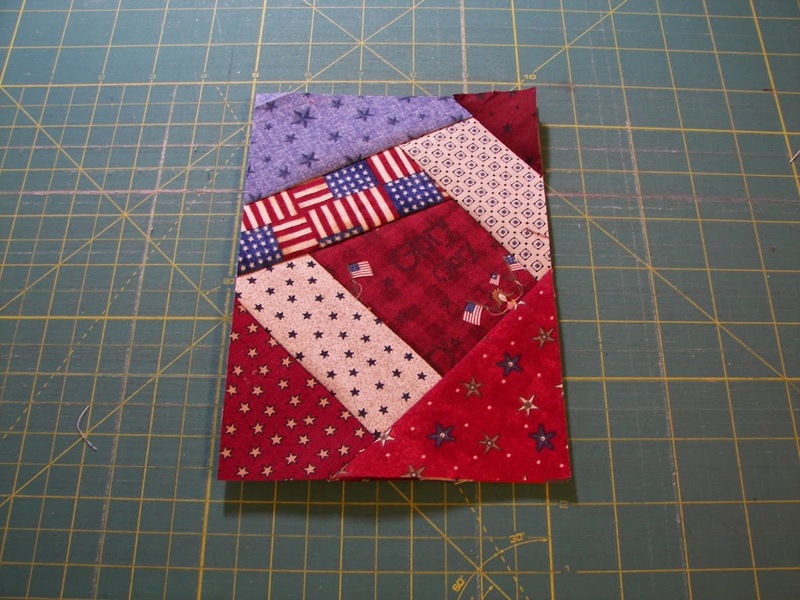 When I was a little girl playing under my mothers quilt, trying not to bump it and make her, and whoever was quilting with her, stick their fingers, she found a new method for piecing together crazy quilt blocks. (she was and is still fond of crazy quilts) It was a form of paper piecing, just no special placement lines or order. 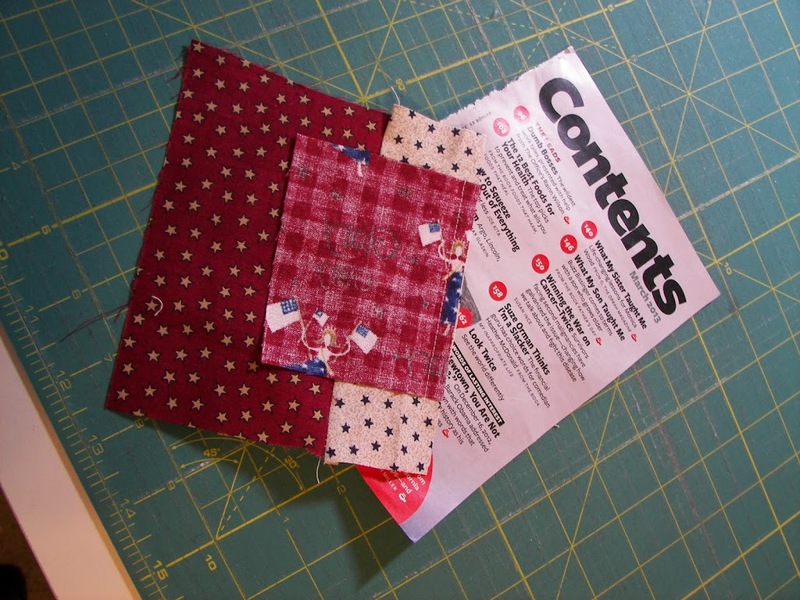 You just sew your piece onto a “Reader Digest Magazine” page. 1. You can start either in the middle of the page or an outer corner. 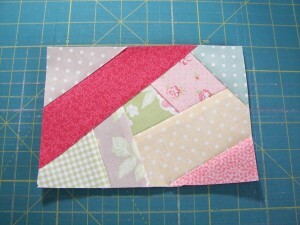 Lay the first piece right side up. 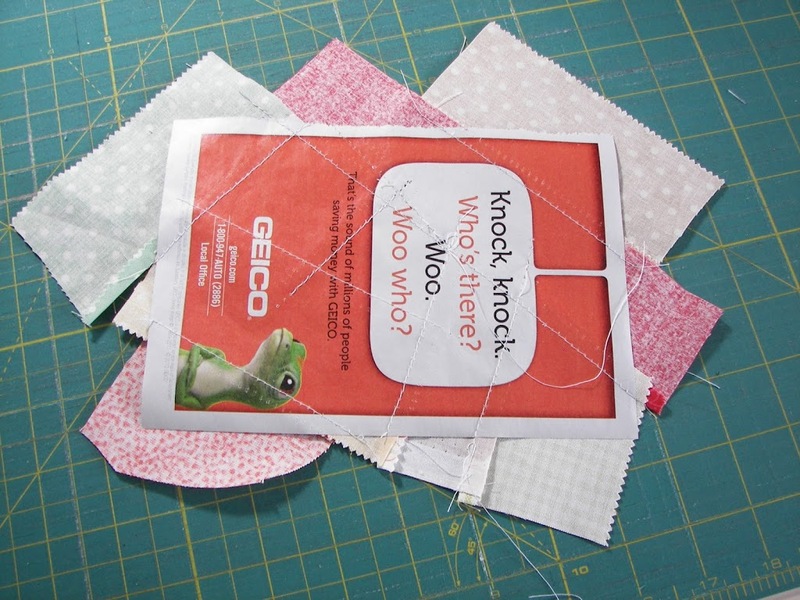 Hint: when you start in the corner you need to use larger scrapes. 2. 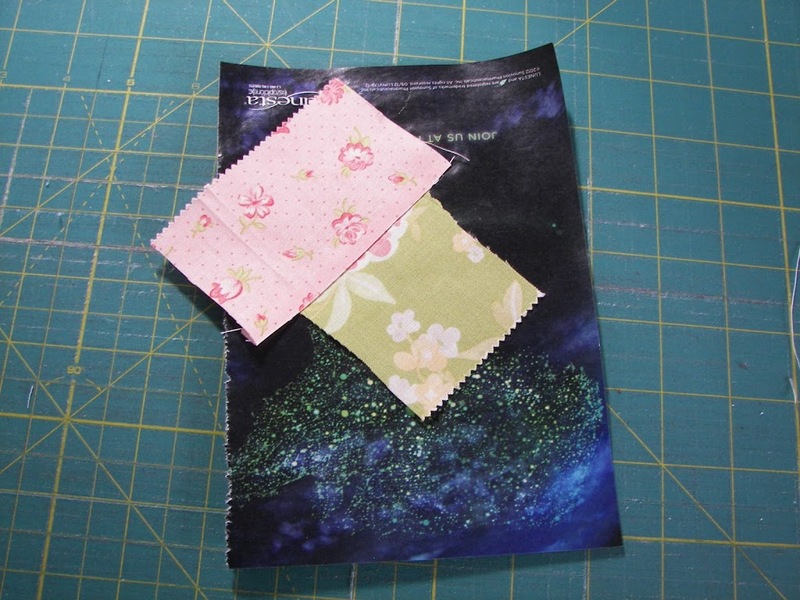 Sew the second piece right sides together and sew using 1/4″ seam allowance. Press. 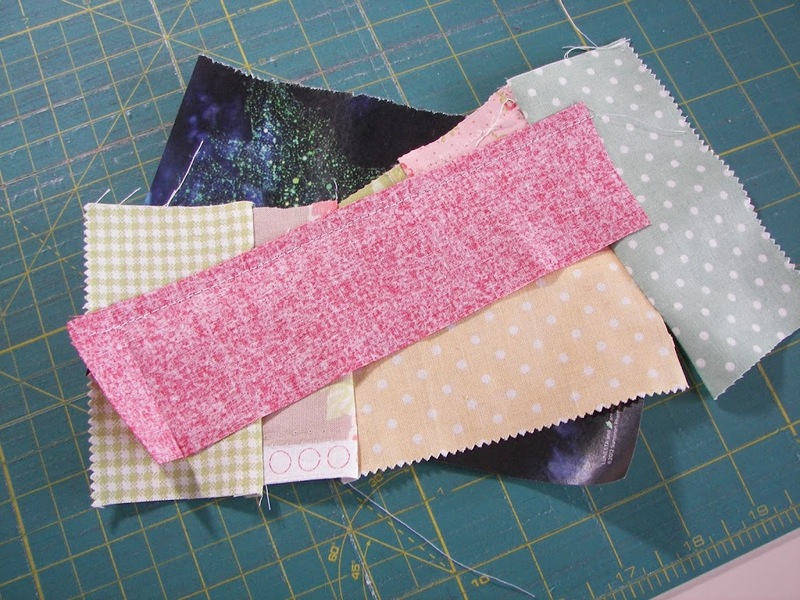 Trim off excess fabric. 3. Repeat step 2 sewing fabric in different directions across the page until it is completely covered. 4. 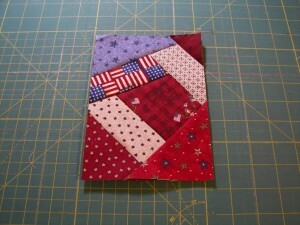 Turn the block over and trim using your ruler and rotary cutter along all sides. 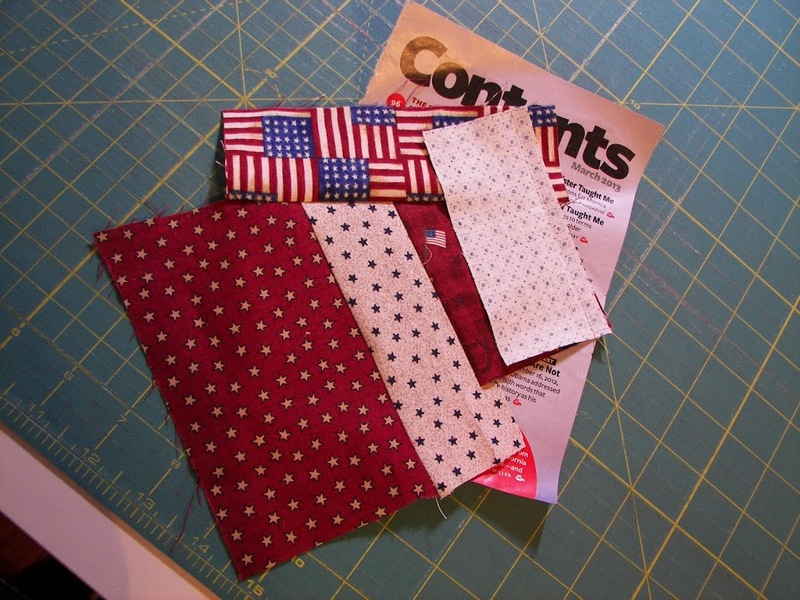 Sew squares together or sash them to make a beautiful project.